When Amber from Global Munchkins offered to write all about San Diego, I was very happy as we were in the process of planning a trip to San Diego. We have since visited this fabulous city and Amber is right – it’s a great place to visit with kids. Since our trip, I have updated this article so it now contains all of Amber’s recommendations as well as some extra kid friendly things to do in San Diego from us! Gorgeous weather, incredible coastlines, amazing food and endless activities make sunny San Diego a fantastic family destination. As a SoCal native and mother of 5, I have been fortunate enough to spend a tremendous amount of time in this incredibly diverse city. If you are thinking of traveling to California let me make the case as to why San Diego should be at the top of your list. 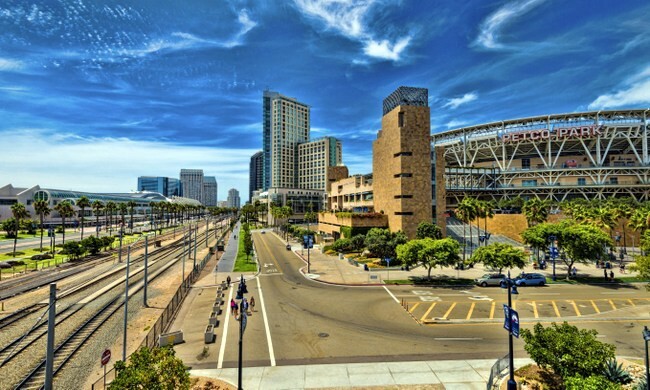 Whether you have your eyes set on beaches, theme parks, water parks or amazing shopping and food, San Diego has it all. There are over 70 miles of diverse beaches, gorgeous mild weather, world-class theme parks like Sea World, San Diego Zoo, Legoland & more. Plus, fantastic water parks too! Not to mention all of the amazing hiking trails, sporting arenas, museums and theaters spread around this robust area of California. Boredom will not be something you encounter during your visit. That’s for sure! 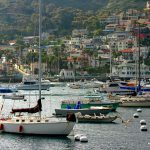 Below you will find out list of what to do in San Diego with kids, how to get around San Diego, the best places to eat and the best places to stay in San Diego. With so much to do it can be hard to know where to start. That is why I have come up with the top 10 things to do in San Diego, California with kids. What kid doesn’t want to see sea lions in their natural habitat? 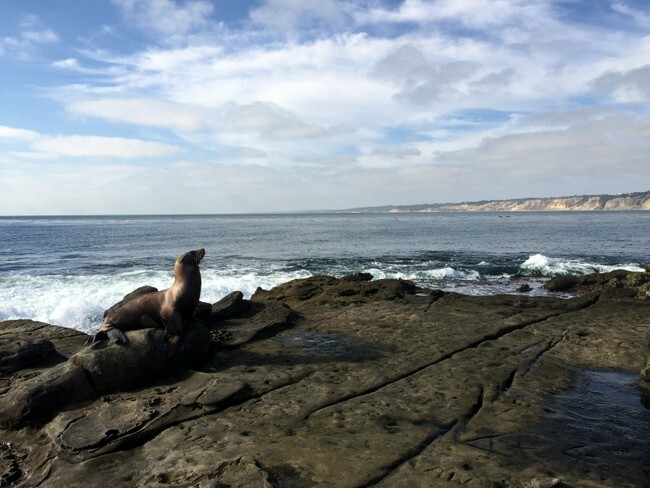 In La Jolla you can get up close and personal to these amazing animals. Big kids can join the sea lions by hopping into the water on a kayak, stand up paddleboard or by snorkeling. Gear can all be rented nearby. Little ones will enjoy the Birch Aquarium, playing at the beach and park or by checking out the Seuss art in the Legends Gallery. The late famous author actually lived in La Jolla in a house on top of Mount Soledad. His wife still lives there today. You can find more information about La Jolla here. Over 17 museums, 9 centers dedicated to the performing arts, a carousel, miniature railroad plus the world class San Diego Zoo. Balboa Park should definitely be on your list. This area of land was set aside back in 1868 and has been bringing joy to people ever since. There are so many fun places for kids in San Diego here. You won’t want to miss the koala bears at the zoo, the kid’s aviation hangar at the San Diego Air & Space Museum where kids can dress up in a space suit or the quirky hands-on science exhibits at the Reuben H. Fleet Science Center. 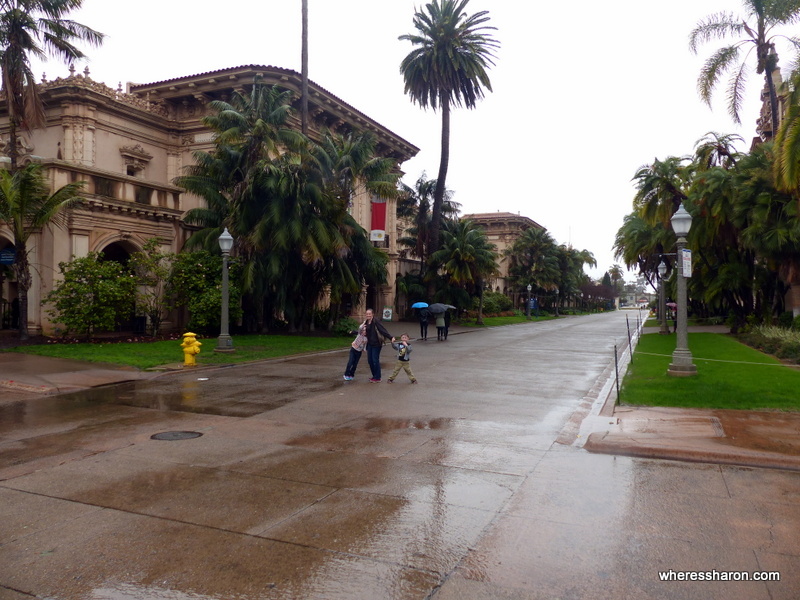 You can find more information about Balboa Park here. Situated in beautiful Carlsbad is the Legoland CA Theme Park also home to the Legoland Water Park and the Sea Life Aquarium. If you have kids 10 and under this is an absolute must do of the kid things to do in San Diego. Lego fans will love shooting each other with water canons in Pirate Shores, earning their drivers license at the Volvo driving school and soaring through the sky on the Dragon coaster. If you visit during the summer it is worth the money to upgrade your tickets to include the Legoland Water Park. 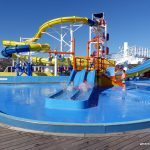 You can spend hours in there racing down the slides, splashing around in the splash zoo, dodging waves in the wave pool and chilling in the lazy river. Want to add an educational element? 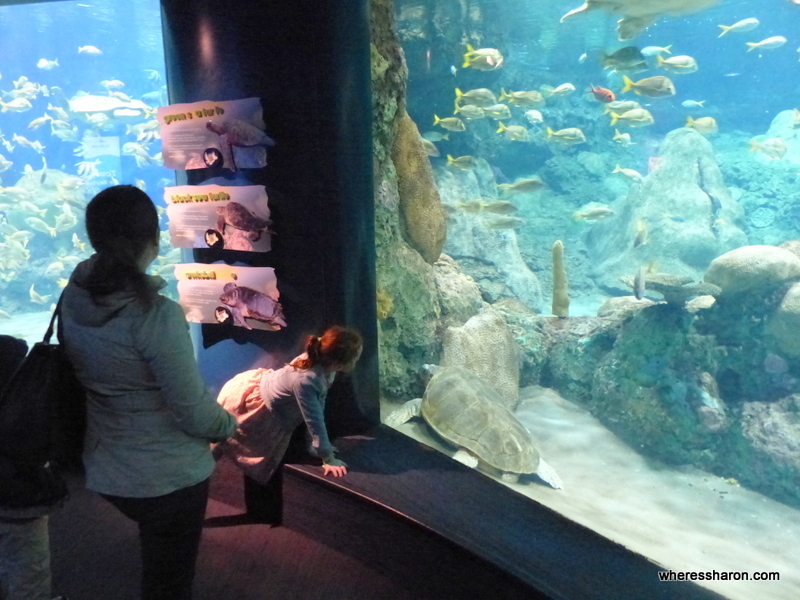 Head next door to the Sea Life Aquarium where you can come up close and personal with some friendly sea stars and crabs. Or head through the 35-foot-long ocean tunnel and check out the sharks, rays and tropical fish in the Lost City of Atlantis a 200,000-gallon ocean display. Tickets start at $87, but watch online for specials. We visited on a weekday in January which is an excellent way to avoid queues. We didn’t wait more than 5 minutes for anything! However, many attractions were shut and there was not much entertainment which made it less enjoyable than when we visited Legoland Malaysia. We were able to do everything that was open within a day which was great though! 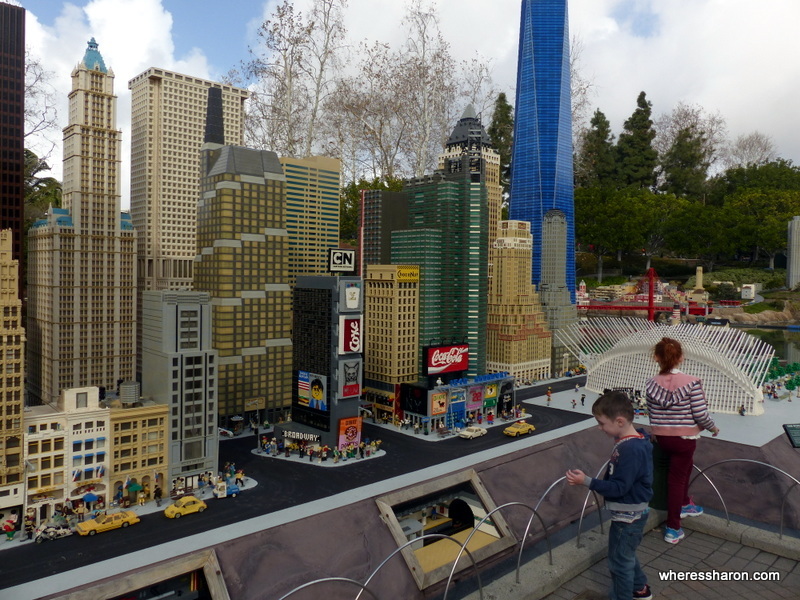 You can learn more about Legoland here. Consider buying your ticket as part of the GO card for San Diego (more info about this below). We saved a lot of money this way. You can’t visit San Diego without checking out a Padres game at the spectacular Petco Park. This is by far the most family friendly ballpark my family has ever come across. We love sitting in the “Park at the Park” tickets for this area range from just $10-$17 (kids under 3ft are always free). This section is not only cheap but is super family friendly. Here you can watch the game from a big screen while your kiddos run around the grass. You can also throw some pitches to them in the kid sized baseball field located next to the “Park at the Park”. Watch for their Kidsfest Summer Sundays that include even more fun San Diego kid friendly activities. Find more information or purchase tickets to a Padres game here. Hands down my FAVORITE place to visit in San Diego personally is Coronado Island. There is something magical about crossing the bridge from downtown San Diego and driving into this gorgeous laid back beach town. It almost feels like you stepped back in time. 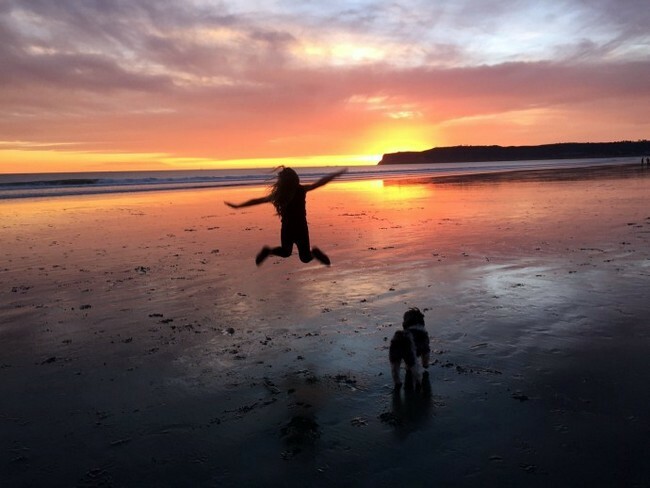 There’s some fun things to do with family in San Diego at Coronado Island. Head to the famous Hotel Del Coronado and explore their grounds (don’t miss the tide pools on the left of public beach in front of the hotel), take a gondola ride through the bay, learn to surf or rent a surrey bike and ride around the island. Hungry? We love Leroy’s, Villa Pizzeria or Tartine. End the day with a sweet treat from Mootown Creamery and get a photo next to the big cow statue in front of their shop! Most people know about the world-class San Diego Zoo. But, just a few miles north in Escondido is the zoo’s Safari Park. Here you can learn all about their conservation efforts and witness first hand how humans can help endangered species. Don’t miss the Africa tram safari ride or Shiley the cheetah’s daily sprint down her 330-foot long track. 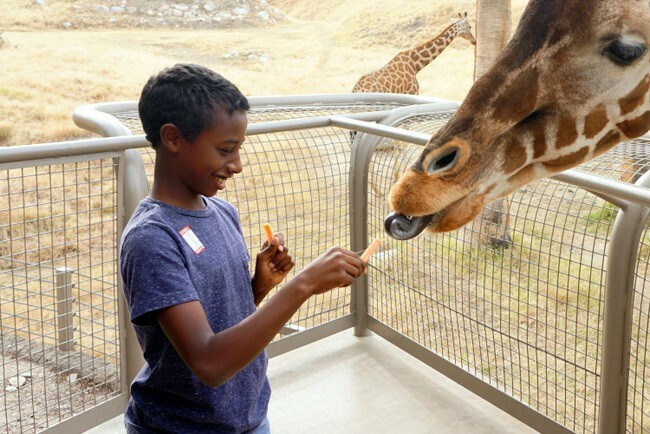 Learn more about the San Diego Zoo Safari Park by clicking here. This reserve is a natural wonder with gorgeous Torrey Pine trees that sit alongside the beautiful coastline. A perfect example of the diversity this state has. There are 8 trails to explore. If you have younger ones they will love the Guy Flemings Trail. It is only 2/3 of a mile long. Pack a picnic and head to the beach below after you are finished with your hike to make it a full day’s experience. Find more information on Torrey Pines here. Amusement park rides and attractions, wave machines, oceanfront dining and plenty of shopping will keep everyone in your party happy at Belmont Park. Admission and parking are free. You only pay for the rides and attractions you want to participate in. Or purchase the unlimited ride wristband and ride all day long. 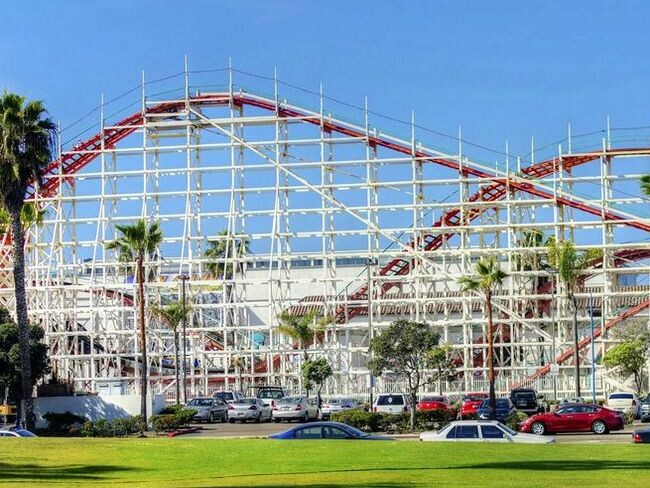 Find more information about Belmont Park here. Free kids activities + Free kids admission… now that is a deal! 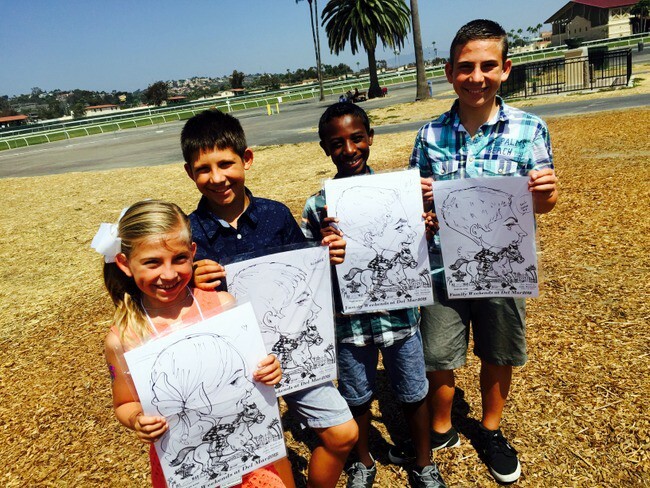 Head to the Del Mar Racetrack on the weekend and you will have a full day of kid friendly activities in San Diego in store. Kids will love watching the horses’ race around the track and they will love the kids zone even more. Here they will find blow up bouncers, pony rides, caricatures, and face painting all free on the infield during Family Fun Weekends. For current information check their website here. Feel like relaxing? Take the family to Seaport Village where you will find over 50 unique shops, 13 eateries and 4 upscale restaurants. There are also plenty of grass fields perfect for flying kites, setting up a picnic or just running around. Make sure to hit up the antique carousel that dates back to 1895. Rides cost just $2 and don’t be intimidated by the line. It goes fast! Little kids will also get a kick out of checking out the ducks and boats along the 4 miles of cobblestone pathways. During the summer months and on weekends year round you will also find live entertainment and events going on at Seaport too! Find more information about Seaport Village on their website here. The following additional list of fun things to do with kids in San Diego is from Sharon’s visit in 2017. 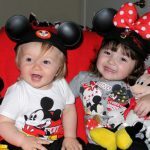 We visited when our kids were 7 monts old, 4 and 6 years old. Apart from some unexpected rainy weather, it was fabulous! 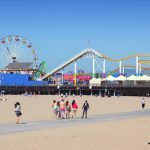 We visited all of these attractions using a GO card for San Diego and we definitely recommend purchasing one of these to save lots of money. This famous theme park can be a controversial pick of the San Diego family activities. Seaworld San Diego often seems to be fending off claims of animal cruelty and sea animals performing for entertainment is not going to sit well with everyone. We weighed up the pros and cons and decided to go. We had a great day! The animal shows are just one part of the theme park. There are also rides, a great kids’ Sesame Street area and many aquariums. In fact, the aquariums were actually the highlight for me. They were so well presented and it felt like we were able to get up close to so many animals. This surprised me as we have been to so many aquariums in recent times and I thought I was completely over them. Seaworld changed my mind! There are not many rides, but the few that are there are enjoyable. In fact, the Journey to Atlantis rides is one of my favourite ever. It kept surprising me which made it extra thrilling. The Sesame Street area is a perfect pick of San Diego kids activities for younger kids. There are three rides and a massive big play area. It’s great! We also loved the Wild Arctic Ride. It is the perfect beginning to exploring the Wild Arctic section of the park. It’s a simulated flight over Antarctica and it felt like we had arrived there when we hopped off and saw the polar bears and other animals. This exhibit is well done with even a wall covered in ice. All in all, we loved our visit to Seaworld. We visited in January on a day where it did rain in the morning and barely anyone was at the park. This helped to make the experience even more enjoyable. Located in Balboa Park, the San Diego Natural History Museum has some well presented, informative exhibits that work very well with kids. We think it’s a great addition to the list of fun things to do in San Diego with kids. We started at the top of the museum and worked out way down. Initially, we weren’t very impressed after our visits to some great museums in Los Angeles. Then we hit the second floor and this changed. There are some great exhibits on Southern California and exploring evolution, ecology and other aspects of the natural history of earth over a 75 million timeline. They are engaging and fun while being super informative and it worked well for both adults and our 4 and 6 year olds. A bonus of the San Diego Natural History Museum is that there are 3D films included with entry. There were three playing when we visited (two 3D ones and one 2D one). You can watch them all or one or two and they play at different times of the day. They make for fun family activities in San Diego. We enjoyed watching one called Sea Monsters about prehistoric sea creatures. They are currently constructing a new exhibit about dinosaurs due to open in February 2017. The San Diego Model Railroad Museum is unreal. Even for someone like me, who is definitely not a rail (or model rail) enthusiast, this place is very cool and definitely worth adding to your list of what to do with kids in San Diego. 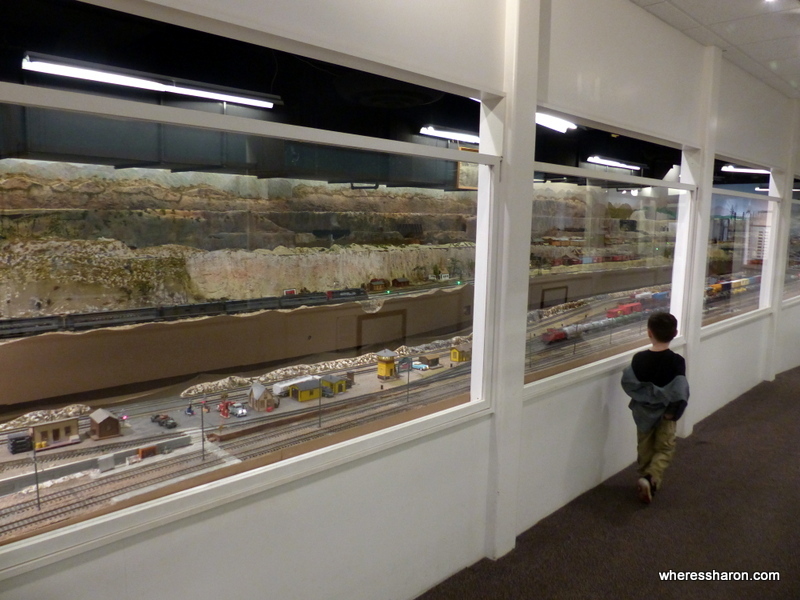 The name of this museum describes exactly what you can expect to see – model railroads. Just don’t expect them to be like the ones you may have seen previously. These are huge. The attention to detail is great and they are awesome to watch and explore. There are quite a few big, detailed railroad scenes set up. It’s not just the trains that move, some have moving trams, vehicles, cable cars and people. 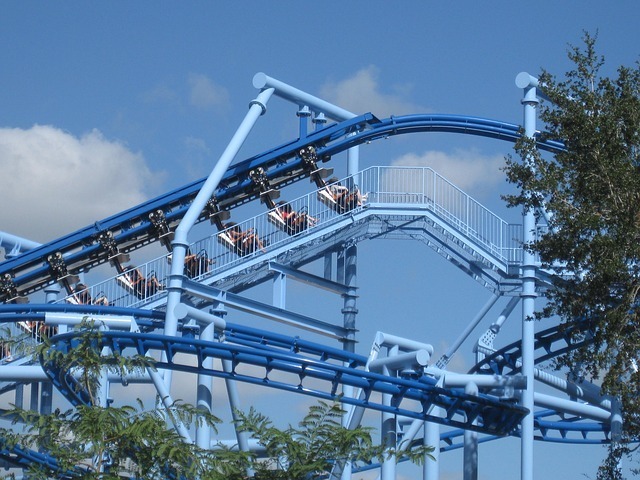 It’s a great choice of the San Diego family attractions and the kids enjoyed it as much as us. There’s also a toy train railway room with lots of action, Thomas and friends and other more kid focused things. Upstairs are some very fun kids activities in San Diego. There’s basically a train themed playroom and our kids could have spent all day making their own railroads. They also have regular story time and craft activity times in this room. When we visited, there was a session every Friday. All in all, this is an engaging and fun museum and it’s obvious a lot of love and passion has gone into it. Definitely add it to your list of fun family things to do in San Diego. 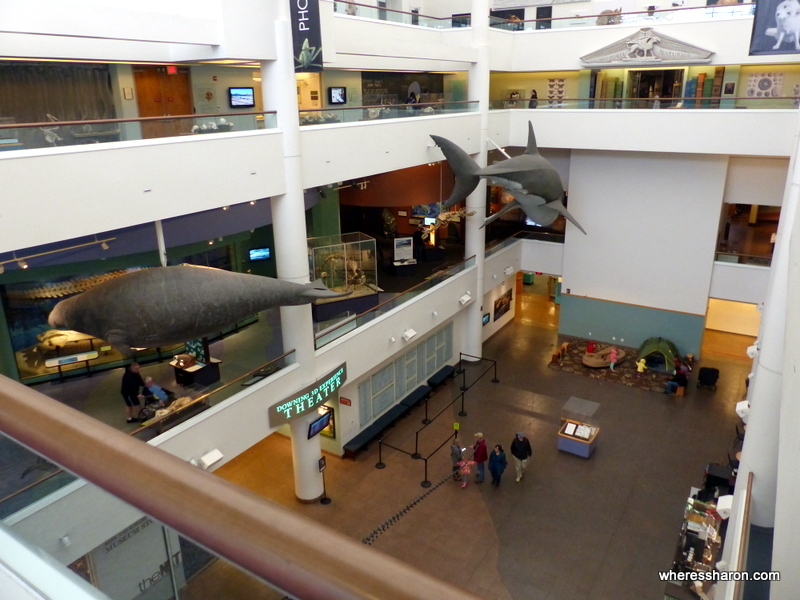 The Museum of Man is an anthropological museum and is a great choice of the fun things to do in San Diego for kids if you like interesting (and kind of random) attractions that have great activities for kids in San Diego. The Museum of Man has exhibits over two areas. When we visited, we were able to learn more about monsters, the Mayans, beer, the evolution of man, race and the Egyptians. It’s simple but well done. The information is well displayed with plenty of things along the way to engage the kids. They were able to draw dragon scales, put on a play in monster theatre and dress up as Egyptians! 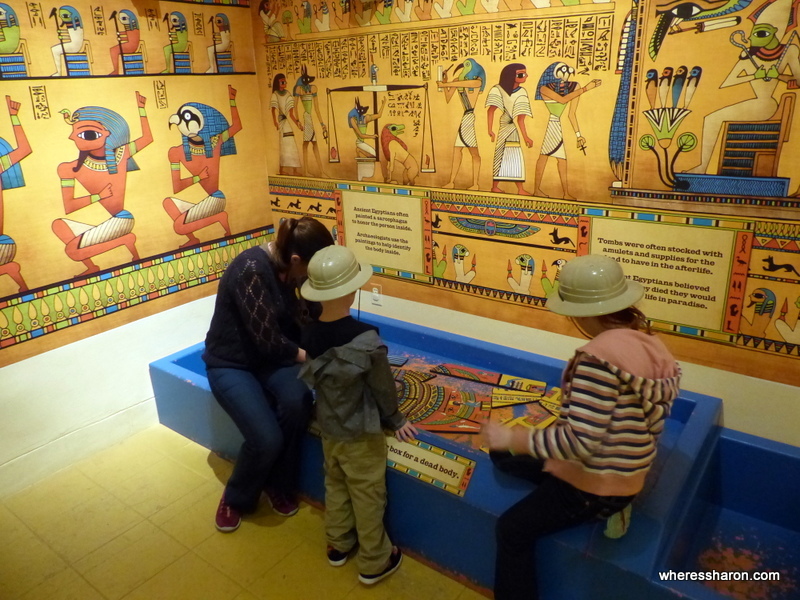 There’s a particularly engaging children’s center in the Egyptian area with dress ups, puzzles, a marketplace and educational displays. The kids enjoyed visiting here a lot. 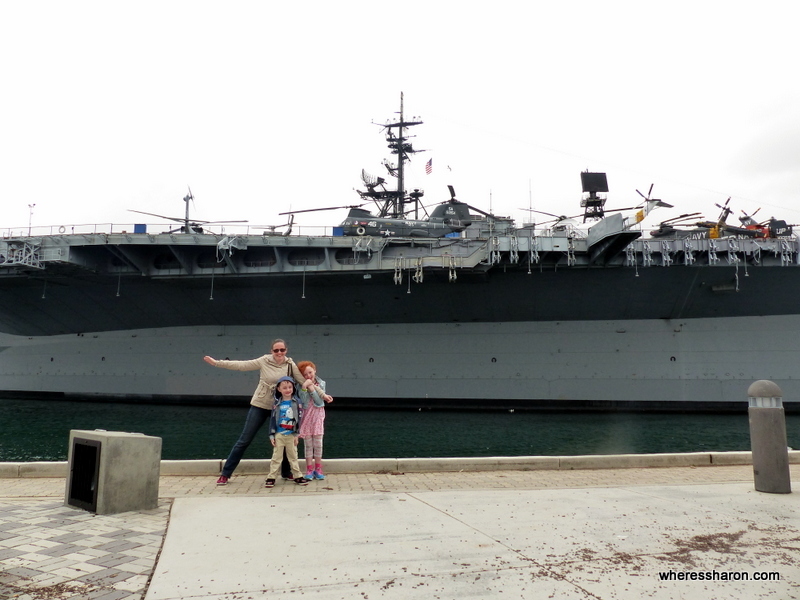 Something that may not occur to you to have on your list of things to do for kids in San Diego is the USS Midway Museum. This museum consists of the aircraft carrier USS Midway. It’s a fascinating ship to explore with many aircraft and the chance to see up close how navy personal lived on the ship. This is the third ex Navy ship that we have visited in the US. We have all found each of them fascinating. Mr 4 loved seeing all the planes and operation areas. I love seeing how the people lived on board. It’s such a different world to what we are used to! There are many different paths you can take around the ship to explore different areas like the engine room, the onboard surgery, the mess halls and, of course, the different classes of cabin. It really is a mini world. There’s plenty of people around to ask questions or you can do a tour. The USS Midway is a short walk from the middle of San Diego so it’s also very easy to visit here. Visiting one of these ships is definitely a unique experience. We found the USS Midway particularly good with young kids as there were not as many steep stairs compared to what we experienced on the USS Iowa in Long Beach or the USS Yorktown in Charlestown. There’s also elevators between the main floors but you will still need to do narrow stairs at some point unless you don’t explore much. Given I have heard many times that San Diego Zoo is the best in the world, I could not wait to visit here! It was one of our best things to do in San Diego with kids. Thankfully, we weren’t disappointed! 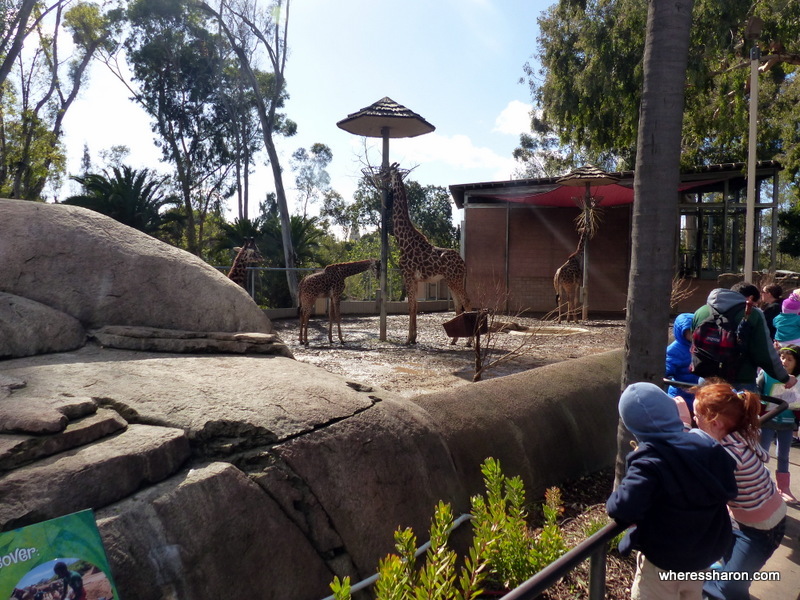 This BIG zoo is amazing and a definite must see of the family attractions in San Diego. First of all, the San Diego Zoo is big. It will take a day to explore all of it on foot. The size is part of what makes it amazing. Not just because this means there are lots of different animals but because it is so well presented that it is fun to walk around each bend in the path wondering what we would see next. It’s also beautiful. The gardens are very well looked after and we were often surrounded by trees and fauna and it felt more adventurous than zoos that are very open. Even the gardens by the paths were pretty and well tended. There are many exhibits and paths to take, many in the form of “trails” where you see a certain type of animal. This makes it easy to choose a section to explore at a time. 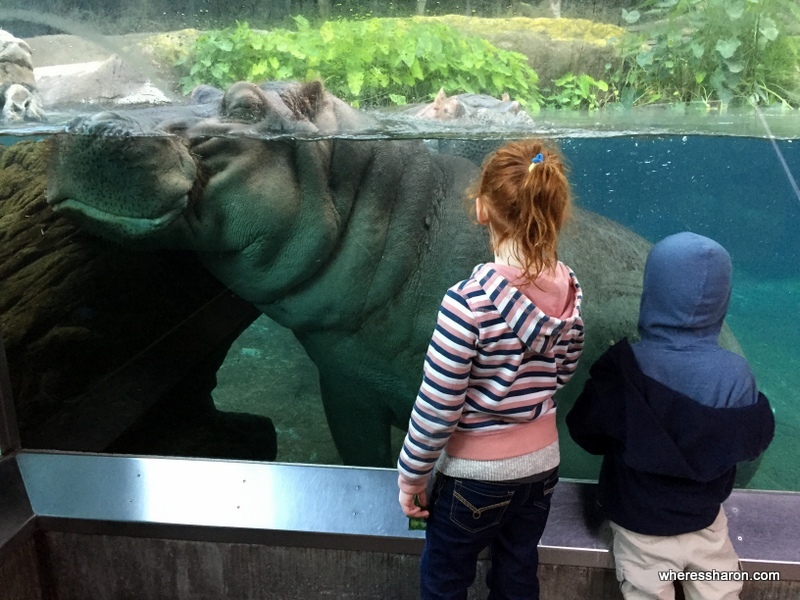 In addition to all the animals you would expect, there is also a children’s zoo area near the entrance with smaller exhibits perfect for toddlers and younger preschoolers that might struggle with the larger exhibits. There’s a petting zoo with farm animals, an insect house and playground here. 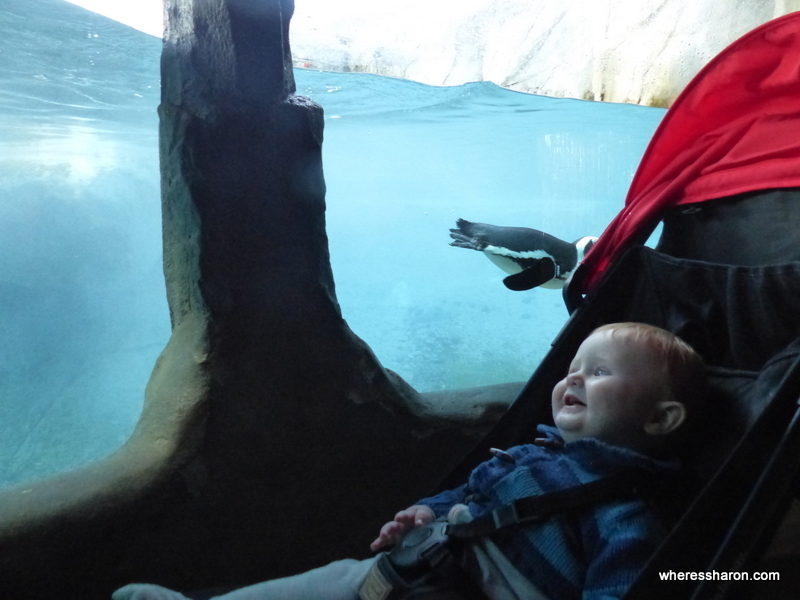 Baby J particularly loved the penguins located here and couldn’t stop smiling and chuckling at them! The grounds are extensive. I found the zoo very big and a huge slice of it was currently under construction due to open later this year so expect it to be even bigger when you visit. Thankfully, there are some ways to get around the zoo which are include with your ticket. This includes the “Skyfari” which is an “aerial tram” over the zoo from one corner to another. I thought this would be a great way to start our visit where we could see all the best things to go visit after. However, there isn’t actually much to see from the air which gives you an idea of how many trees and greenery there are at San Diego Zoo. There’s also a bus service – the “Kangaroo bus” which runs around some of the zoo. Additionally, there’s also a 35 minute tour which is a great way to orientate yourself and start your visit. There is so much to see at this zoo and like I’ve said many times, it’s well presented. However, I must admit that the majority of enclosures were much smaller than I expected. I thought they would all be huge when in reality, not many of the individual enclosures were that big. We visited on a cold day and it seemed like many of the animals chose not to grace us with their presence which was disappointing. What I did like, however, was that many of the exhibits had great floor to ceiling glass areas to view the animals which is perfect for little kids and was a great way to get close to the animals. We had many occasions where the animals were right next to the glass and it was so amazing to see them so close. All in all, the San Diego Zoo is FANTASTIC!!!! And you should definitely have it on your list of fun things for kids to do in San Diego. You can find more information on their website or visit them as part of the San Diego GO card like we did. The New Children’s Museum was maybe the biggest hit of the San Diego things to do with kids for S and Z during our stay. 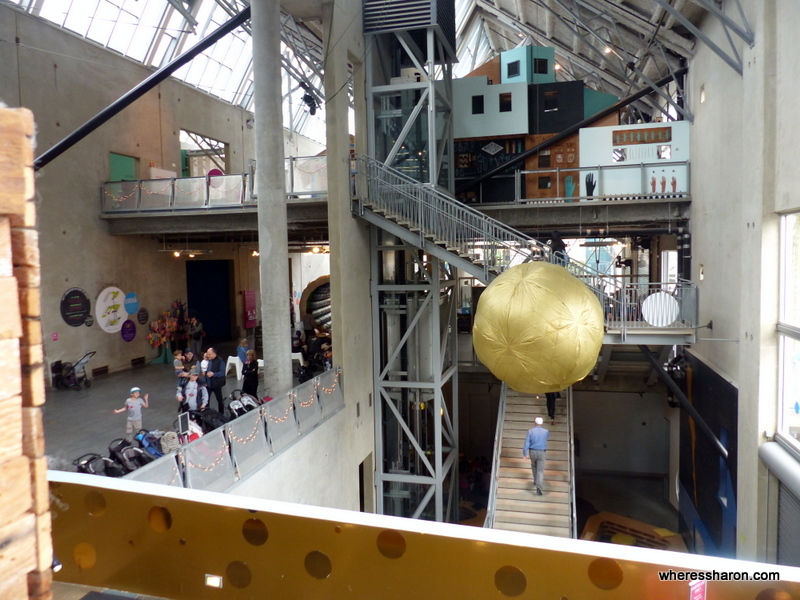 The museum is more like a children’s art gallery where the kids can climb and play on the exhibits and installations. While there’s an educational theme or message to each area, it’s all subtle and the exhibits themselves are a lot of fun. The museum is not huge but the things there are really engrossing. We easily spent the best part of a day here. Amongst the things S and Z explored were a tree house, an inflatable bouncy tube, a sandpit with peppermint scented sand under different color lights and best of all a large adventure playground covered in prose that the kids played in for hours. For younger kids, there were dedicated play spaces perfect for kids under four. Our kids, aged 6 and 4 could play on everything without an issue. There were plenty of kids of all ages but those aged under 24 months will need more help/supervision. Kids over 10 might find it a boring. S and Z had to be convinced to go get lunch and didn’t want to leave until they were too tired to argue. 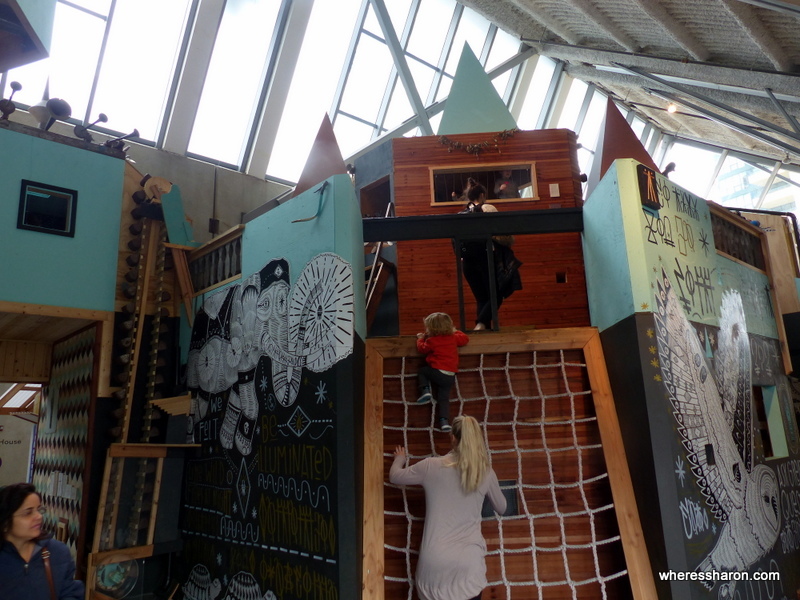 It’s maybe the best San Diego activities for kids and probably the best children’s museum we’ve visited anywhere. Find more information on their website. You can also buy discounted tickets through Go Card San Diego. We visited San Diego as part of a 2 week road trip of Southern California. Read all about it here. 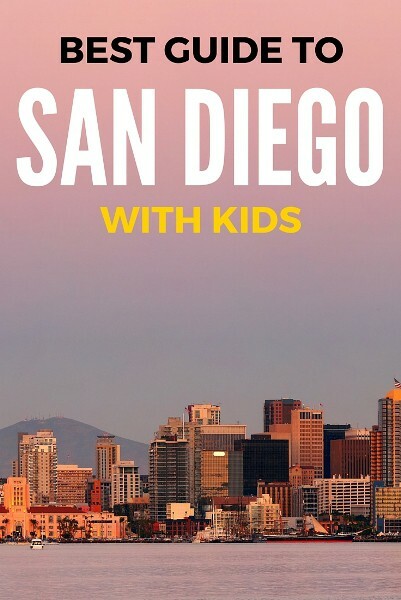 When we (Sharon) visited San Diego, we saved a ton of money on the things to do in San Diego for families listed above by buying a GO card for San Diego. This card is fantastic. You can choose to buy it for a certain length of time (we bought it for 7 days) and then you can access as many activities over that time period as you want. It also included Knotts Berry Farm in Orange County which we visited as well. We used it to visit all the things to do with children in San Diego that we visited including Legoland and San Diego Zoo. You can also choose which specific attractions you want to visit and buy a pass that way. The GO card will give you 20% off the admission price of each attraction if you buy it that way. It is definitely worth purchasing this card if you are coming to San Diego and doing at least two of the San Diego activities for families mentioned here. Click here for more information about the GO card. Another pass to consider is the CityPass Southern California. This is perfect if you plan on visiting Disneyland, California Adventure, Seaworld and Legoland. You can also add on the San Diego Zoo and San Diego Safari Park. This gorgeous resort is filled with family fun activities plus an amazing spa and wellness center for mom & dad. Family activities include: multiple pools, waterslides and a splash pad. Plus, night time s’mores, dive in movies, surf camp and more. Kids can also be checked in to the Kidtopia Kids Club for an additional fee. Check out more about La Costa and see the latest prices here. If you are looking for a more affordable place to stay, Loews Coronado Bay Resort seems to always have fantastic packages for the family. Located in the marina near Silver Strand Beach just minutes from the Famous Hotel Del Coronado, this resort has plenty to offer families. Check out their 3 pools including a shallow pool for your youngest kids, a family pool with a hot tub and a separate adults only pool. During holiday weekends and summer, they also have dive in movies, raft races, live DJs and more. Feel like hitting the beach? Hop on their complimentary beach shuttle and enjoy free chairs, boogie boards, sand toys, towels & more! They also have delicious restaurants on property like their Market Café, which boasts a great kids menu too. And Loews loves pets so if Fido wants to come along he can. Learn more about Loews Coronado Bay Resort and see the latest prices here. 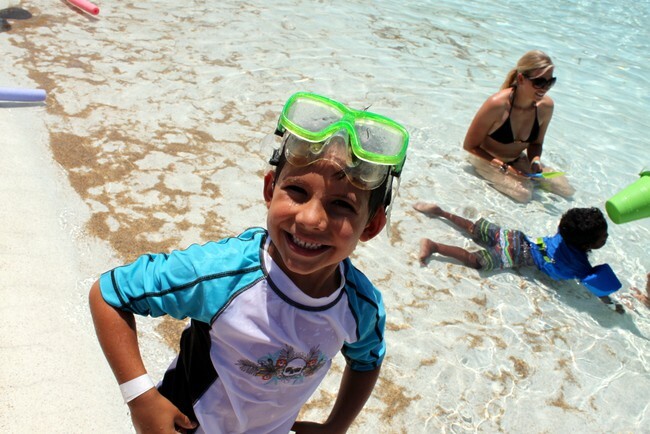 This older resort is more budget friendly than the big resorts in town but it still encompasses plenty of family fun. 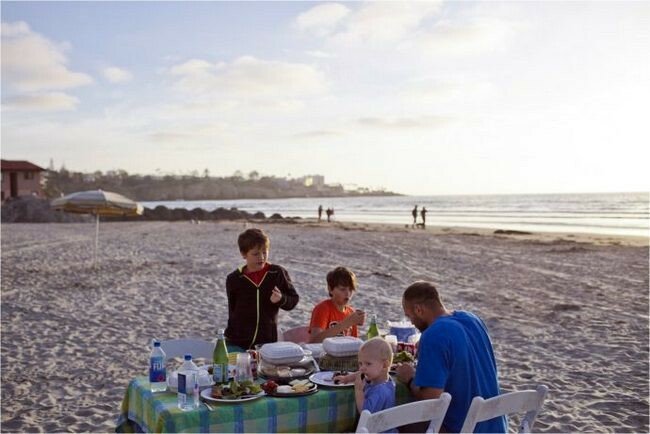 Located on the beach in La Jolla this resort is a fantastic choice for families. With its pool, ping-pong tables, a park and playground next door and plenty of beach activities it will be easy to keep kids entertained. Make sure to check out their BBQ or picnic meal on the beach. It’s a service provided by the hotel’s restaurant – Shores. You pre-order everything and they deliver it to you right on the beach! Check out more about La Jolla Shores and see the latest prices here. 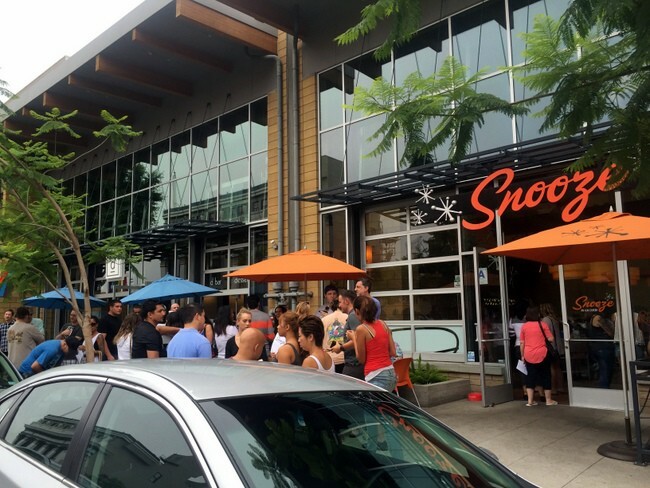 Snooze – if your family loves a good breakfast you need to check out Snooze Eatery. Whether you are in the mood for savory or sweet they have something amazing on the menu just for you. Just be sure to get there early or be ready for the wait. Local love this place. Donut Bar– kids will love the huge artisan donuts at the Donut Bar. The menu changes daily and all the donuts I’ve tried are insanely delicious. On Saturdays, kids receive a free kids themed donut. Recently they’ve had Hello Kitty and Super Hero donuts. Claire’s on Cedros – okay, this one may not be the most fun restaurant in San Diego for kids but the whole family will enjoy their delicious menu. And, you will see plenty of kids there. Bonus- when you are done with your meal head down Cedros Avenue and browse through the adorable shops. Slaters 50/50 – feel like a burger? Slaters 50/50 will fulfill that craving. Here you can build your own burger by choosing your own patty (they are famous for their 50% ground beef/ 50% bacon patty) and then choosing your own toppings from their extensive list. Their kid’s meal includes: mini sliders, chicken strips and mac n cheese plus the kids get to choose a few snacks from their list too! Station Tavern – when the weather is nice, and it usually is, Station Tavern is a great choice. Dine outside under their twinkly lights on their picnic style benches while your kids run around and play with the mini trains. Corvette Diner – Super fun 50’s themed diner with live entertainment (think balloon artists, magicians) & a super fun gaming garage. The gaming garage is a large arcade with innovative and throwback games to please all the gamers in your family. Their menu is extensive so even the pickiest eaters will find something they love and portions are large enough to be shared. Waypoint Public – if you and your hubby like to enjoy craft beer than this is a perfect spot for you. Tons of beer choices for you plus an astro-turf lined room for the kids with books and games. Plus, plenty of classic kids meal options to keep the little ones happy. Village Pizzeria – a fantastic pizza option my family loves is Village Pizzeria. They have several locations in San Diego but I recommend their Bayside location in Coronado because it’s the best! There you will sit on their outdoor patio, while watching the boats and ferries float by. The pizza is New York style, so it’s thin and delicious. They offer a kids meal but I find it easier for families to split a large pizza pie instead. We love starting off with fresh hot garlic knots and ending our meal with a walk on the beach. Pizza Port – another one of our pizza favorites is Pizza Port. 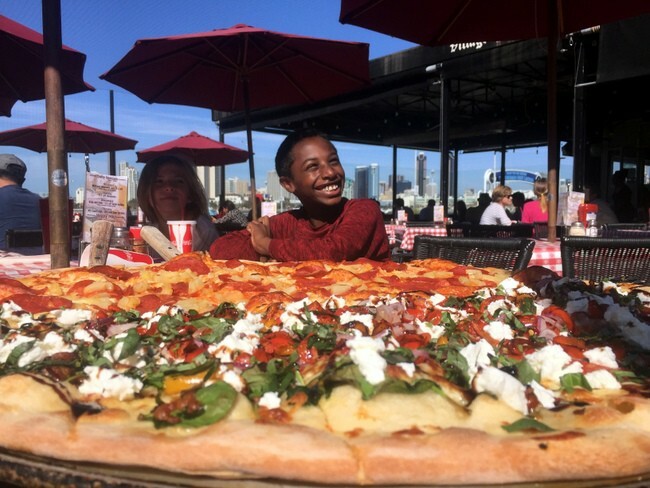 There are a few locations in San Diego and they all offer plenty of seating on their shared cafeteria style benches, cold beer on tap and piping hot pizzas with delicious and creative toppings. Don’t forget an order of beer buddies or their fried mac n cheese bites to start! Point Loma Seafood – fish loving families will love this local favorite. Try out their amazing fried fish, or some fish tacos, chow down on their chowders or try out their sushi. No matter what you choose it’s always delicious! Casa de Reyes – in the mood for Mexican? I know just the place. Casa de Reyes offers great Mexican food in a gorgeous garden setting. Plus, they offer free live entertainment all week long as well. 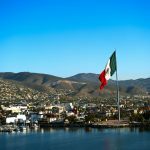 I love to sit back with one of their delicious margaritas in hand, while snacking on fresh chips and salsa by a fire pit while listening to the live mariachi band and watching their traditional folklore dancers dance the night away. Dumpling Inn – if your kids are into trying new things they will love this wildly popular Chinese food joint. They are famous for their amazing dumplings of course, hence the name, but they offer other dishes like stir fried entrees, soup, noodles and chow mein too. Just beware that parking here can be a bit tricky. San Diego is a pretty large city so if you are coming in from out of town a rental car is probably your best option. Traffic is manageable, there is an easy to navigate freeway system and apps like waze that will help you get from point A to point B efficiently. Besides exploring by car, other transportation options include: trolleys, trains, taxis, lyft and uber. For an expansive look at San Diego’s transportation options check out the San Diego Tourism website here. San Diego is one of our favorite cities. It is massive in size and full of incredible experiences for families of every kind. Whether you love the outdoors, sports or the arts there is something for everyone in this incredibly diverse town. You are not going to run out of family friendly things to do in San Diego. This is one city that is definitely worth adding to your family bucket list. 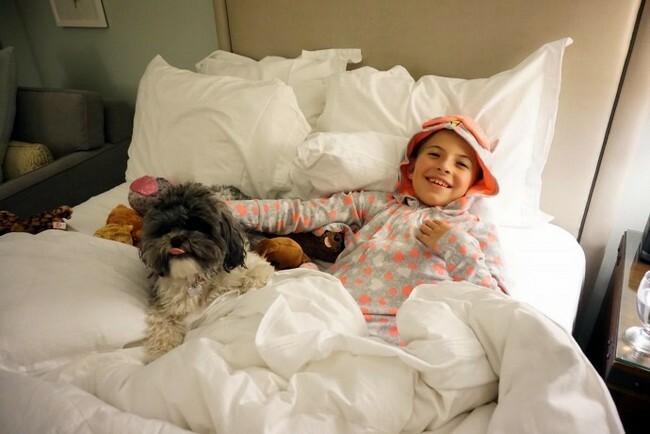 You can read more about Amber’s journey with her family on her blog Global Munchkins or follow her on Instagram and Facebook. You can also read our full guide to Los Angeles and Orange Country. Disclaimer: This article contains affiliate links. This means that if you make a booking after clicking on one of them that we may receive a small commission at no extra cost to you. Thanks for supporting our site! 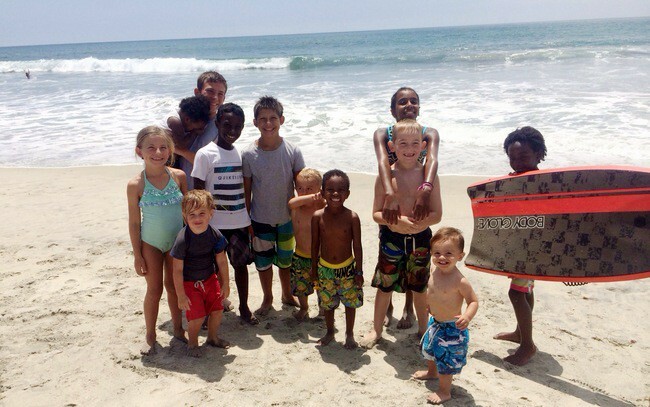 San Diego looks like an awesome place to visit with kids. Sending this to some friends who just moved there and are still finding their way around. It looks like lots of fun, doesn’t it. It looks like such a great place to visit with kids, you and your family are such a great advert for it! I’ll have to put it on my travel wishlist! This is a GREAT list!!!!! 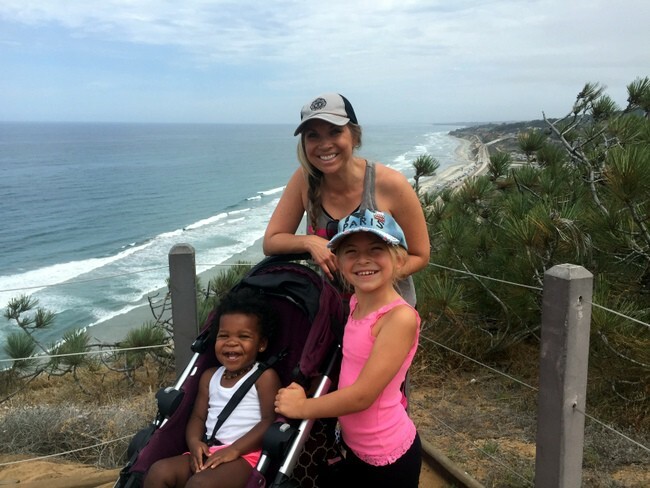 I’ve only Been to San diego once but I loved it and hope to make it back to try some of these places with my two lilttles! San Diego seems to be a very cool place to visit and I guess you people had a great time, the beaches, the park, the safari, the water park are simply superb, well travelling with family is a great experience what I feel. So many things to add to my list of where I want to go in San Diego some day. That’s it! Time for me to book my trip to visit Amber and explore San Diego! I have always wanted to go to San Diego. I’m saving this list for when we finally do decide to go. This will definitely help us plan our trip! That’s good to hear as I just booked a car for our trip. Is Legoland worth it? We are trying to work out whether to squeeze it in since we will also be going to Disneyland and Knotts Berry Farm and I wonder how many theme parks we really need to visit (and we visited – and loved – Legoland Malaysia recently). What a great list! We will be heading there this year and I can’t wait to check all of these places out! 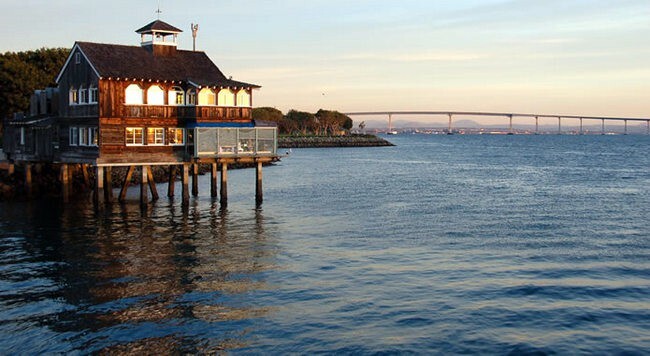 I am definitely interested in checking out the Coronado Island – sounds perfect for your family. It’s awesome isn’t it. We can’t wait to visit either! Great list! I need to get to San Diego soon. I’ve never been and I keep reading about how awesome the city is, how much there is to do, how wonderful the weather is…. It sounds perfect, doesn’t it! We are looking forward to discovering it ourselves. Fantastic list! We just came back from del mar and hit a few of these. It only made me want to return as soon as possible! Wow, there is plenty of families to do in San Diego. That city is one of my most favorite places in the world! Wow! Great Post Sharon! I have lived in San Diego all my life and this post covers it all! Great resource for anyone visiting San Diego with a family! Great job! Such an informative list! You’ve really covered the essence of San Diego. Why don’t you make a trip down to Kerala sometime?